A blood glucose meter is used to measure the amount of glucose, a type of sugar, in the blood. When Accuracy Matters The Most! This device lets you manage your diabetes on your own terms. 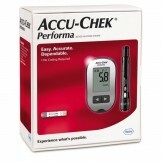 ACCU-CHEK carries out extensive internal checks to give you accurate results from the convenience of your home. Get accurate results to make better and much more informed decisions about diabetes management. All you need is a tiny sample of blood and it will give you results instantly. What really makes this device useful is its trusted performance and convenience that it offers. Forget all the hassles and pain that a blood test usually involves and get this device for easy and pain-free testing. 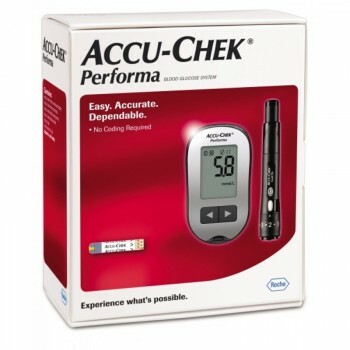 Manage your numbers and manage your health like a pro with this ACCU-CHEK Performa that guarantees convenience and accuracy. 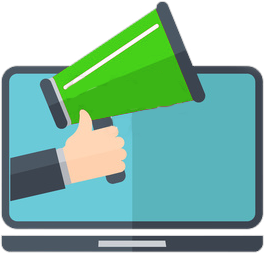 Your result will be on the screen in 5 seconds. Offering the Accu-Chek Performa with fast shipping in Karachi, Lahore, Islamabad, Rawalpindi, Peshawar, Quetta and many other cities of Pakistan.